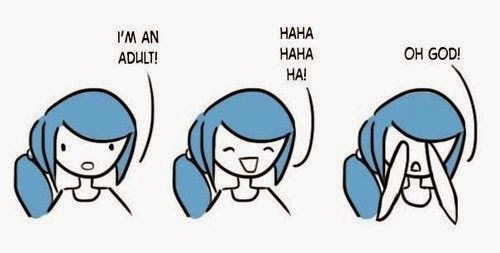 Some of my friends and family may have noticed from a few tweets that I’ve officially become an “adult.” You’re probably wondering how this may have happened since I didn’t graduate college this past May. Two weeks ago I officially started my new job as a Social Media Coordinator for Impact Marketing & Technology in Waterloo. How did this happen? Here’s the story of how this blog helped me get a full-time, big-girl job without a degree. It all started back in January when I started my Digital Advertising class with Matthew Wilson. I had heard from other marketing/PR students that it was a great class, and even though it would be a lot of work, I would learn something in the end. During the entire semester each student is required to write a blog about something they’re passionate about. I thought social media would be a great topic to write about. From my internships, classwork, and general research I've felt that small businesses usually don’t have the man power or money to invest in social media. Or they just plain don’t get it and can't see how it will benefit their business. So I chose to interview small businesses in the Cedar Valley who I felt were doing a great job at promoting their business through social media. If I was able to show examples of businesses doing it right, then maybe other business owners could see how it’s done. Throughout the semester I interviewed Social House, Miss Wonderful, and Life by Lisa (LBL). I also wrote posts about Facebook and how to create an engaging post. So where did this job come from? At the beginning of March our professor sent out a job opportunity for a part-time social media coordinator at Jerry Roling Motors in Waverly & Shell Rock. I immediately applied. I had my interview on April 4th. I was encouraged to look at their websites and Facebook pages and bring any ideas, thoughts, and creativity to the interview. The interview lasted almost two hours and I actually had two separate interviews. Roling Motors has two stores so I interviewed with both General Managers separately. I was nervous to say the least. I thought both interviews went really well though and I was confident that I would get the job. I didn't get the job. I got an email the beginning of May saying how they had hired someone for their Waverly location, but they were building a new location in Shell Rock so they would hold my resume until they were able to accommodate more employees. I was pretty bummed about it because I felt I really had that job. So I moved on. Until finals week when I got a phone call from Amy Roling, the Communication Director at Roling Motors, whom I had interviewed with a month before. She informed me that their marketing agency, Impact Marketing & Technology out of Waterloo, was looking to hire a social media coordinator and asked them for referrals. She wanted to give them my name, but wanted to make sure I was okay with it first. Of course I was okay with it! The following week I had my first interview the owner James White. When I spoke with him on the phone I asked if I should bring anything and he told me to bring some writings pieces from my portfolio. Four out of the five pieces I took to the interview were blog posts from the past semester. Long story short…..after a couple interviews and a few long weeks of waiting, I woke up June 12th to an email with a job offer. My Dad said it was the best Father’s Day present I could give him. 1. A job opportunity can come from anywhere or anyone. I applied for a job at Roling Motors and ended up at a marketing agency. If I hadn't impressed Amy Roling during my initial interview, she never would've given Impact Marketing my name. This type of opportunity doesn't happen often, but it is possible. My advisor at Kirkwood, Rose Kodet, always told students to never burn your bridges, because you never know when might need them. Yes, Roling Motors didn't hire me, but in the end they helped me get another job. 2. Just because you don’t have a degree yet, doesn't mean you can’t get a career. I still have about 15 credit hours to finish before I get my degrees. So I will be going to school part-time and working as much as I can. Impact Marketing said upfront in the initial interview that school would be my first priority and they wanted to see me finish my degree. Many employers will see that you’re getting close to graduation and they might be willing to work with you. 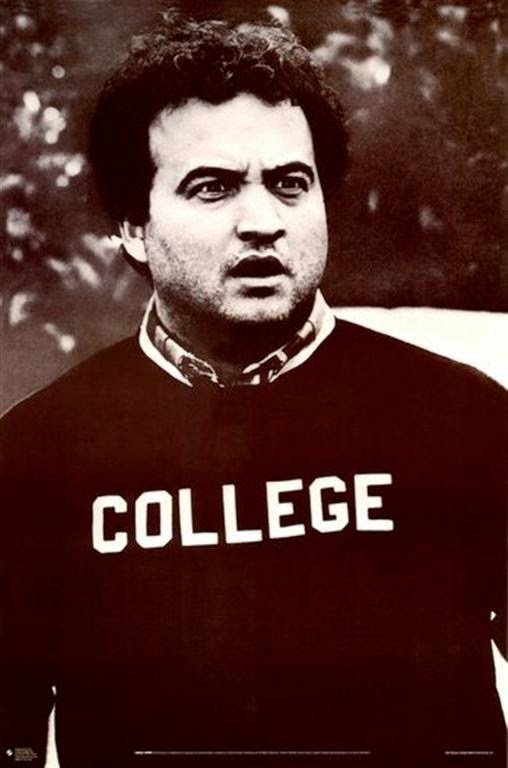 That being said, if you do get a full-time gig, make sure to finish that degree. That little piece of paper will be very important if that job ever falls through. 3. Experience, experience, experience. I can’t tell you enough how important experience is. During my freshman year, my Dad gave me the book All Work, No Pay by Lauren Berger. 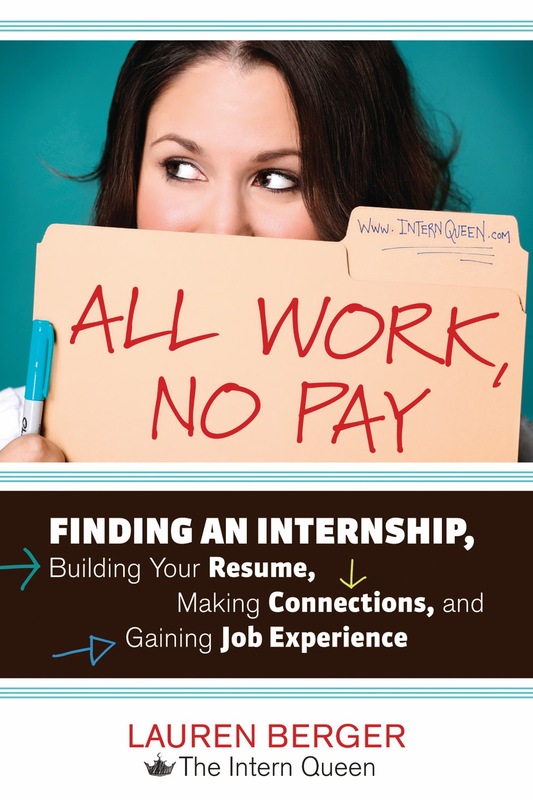 The biggest lesson I learned from the book is that I should have 4-5 internships during my college years if I want to get an awesome career someday. Well I made it to three. During my interview with Impact Marketing they asked me why I left Bill Colwell Ford (my 2nd internship) for Silos and Smokestacks National Heritage Area (my 3rd internship). I simply told them it was because I wanted to gain more experience. I was working in the for-profit car industry so I thought I would do a total 180 and work in the non-profit tourism/agriculture industry. And if Impact Marketing had never came along then this summer I would have been looking for my fourth internship. I also was very involved with the UNI American Marketing Association this past year by being on the executive board. I know it sounds like a lot to handle. But trust me, in the long run all of that experience will pay off. 4. Every student at UNI should take Matthew Wilson’s digital advertising class. Any major from accounting to political science should take this class. Not really for the digital advertising aspect of it. Biology majors don’t need to know how to run a Google AdWords campaign, even though maybe they should. I feel that every major should take it for the self-promotion aspect of it. In this class I had to pick a topic, write multiple blogs, and then promote it myself. The success of the blog was in my hands. You’re forced in a way to put yourself out there on the internet, which can be scary at times. At first I felt like I was “bothering” people with my little blog posts asking them to read it, but then I realized all the other annoying things people put on social media and I didn't feel so bad. I was able to overcome that fear and put myself out there. And as I mentioned before 4 out of the 5 writing pieces that I took to my interview with Impact Marketing were blog posts from Matthew’s class. This blog played a big role in me getting this job (Wise words for any future UNI digital advertising students).If you’re able to communicate verbally and through your writing; any employer will want to hire you. Before I end this post I want to thank a few people first. Thank you to Amy Roling for giving Impact Marketing my name, it worked out quite well for me. Thank you to Matthew Wilson, Kathleen Porter, Tiffany Siebel, and Blake Colwell for giving recommendations, I’m not sure what you said, but I’m assuming all good things! Thank you to my internships: Opportunity Village, Bill Colwell Ford, and Silos & Smokestacks National Heritage Area. Without the experience I gained from your organizations I wouldn't be where I’m at today. Thanks to the businesses that let me interview them for my blog: Social House, Miss Wonderful, and LBL. And lastly, a big thanks to my parents. Without their guidance and support I wouldn't be the person I am today. They never stopped believing in me and that’s one the best gifts parents can give their kids. Lastly, I plan to keep blogging on various topics including marketing, social media, and whatever trips my trigger! I'm really excited for the future so stay tuned! Thanks!